The Mongolian beaver is a subspecies of the Eurasian beaver found only in the Wulungu River of Mongolia. 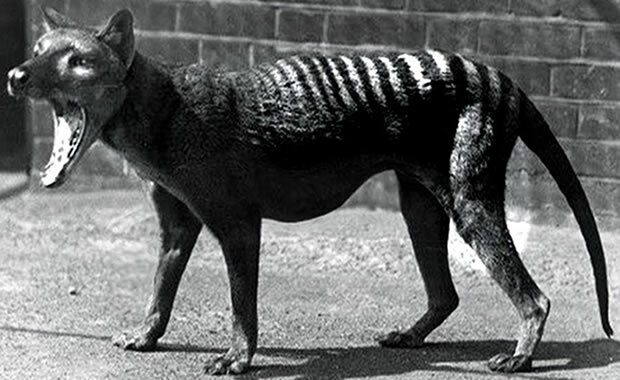 It is estimated that only 400 survive in its range. Adults reach from 31.5 to 43.3 inches in length and weigh between 28.6 and 70.4 lbs, making them the world's largest rodents. Females are slightly larger than males. Their bodies are stocky with flattened hairless tails known as "scoops." Their coats are brown to yellowish brown in color with thick, fuzzy hair. Beavers are notable among mammal species for their ability to alter their habitat to make it more suitable for their needs. This is usually accomplished by the building of dams or canals. The Eurasian beaver prefers to build lodges of piled logs using sand and clay, and they prefer to dig burrows in river banks for nesting. Mongolian beavers can be found in freshwater lakes and rivers usually found near woodlands. They are mainly nocturnal and are very comfortable in the water since their fur is waterproof and their feet are webbed. The tail is long and can be used to slap the water surface when the beaver is alarmed. To escape danger, beavers dive underwater and swim away, and they can remain underwater for up to fifteen minutes. Beavers feel safer near the water and rarely travel more than 64 feet away from it, and they are known to remain in their own territories for life. They have long claws on their front feet which they use for digging, and they can also hold small objects between their toes while feeding. Mongolian beavers are herbivorous, feeding on aquatic plants, grasses, ferns, and shrubs. They are also known to chew on trees to sharpen their teeth. They are social and prefer to live in family groups of five to eight consisting of the adult male and female and their young. Mating occurs in January or February, and females give birth to their young in April and June after 105 days of gestation. The litter size is usually between one and five. Causes of decline include hunting for their pelts and castoreum oil, which was believed to be a cure for disease and a sexual potency drug. Hunting has been banned, but there is also a threat of loss of habitat due to human interference of wetlands and water pollution. The Altay Wildlife Conservation Association is currently working to develop strategic conservation plans for the management of the Wulungu River (the only river that the Mongolian subspecies dwells). Among the objectives of the project is to increase awareness among local people in the area and conservation and protection of remaining wetland habitats in the area. Glenn, C. R. 2006. 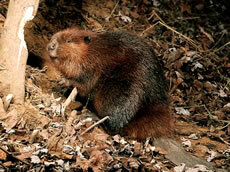 "Earth's Endangered Creatures - Mongolian Beaver Facts" (Online). Accessed 4/21/2019 at http://earthsendangered.com/profile.asp?sp=33&ID=3. Need more Mongolian Beaver facts?